Caterpillar’s cooler mainland sales are a reminder of Beijing’s reluctance to build its way out of trouble. Monetary policy remains cautious too. A lower fiscal burden is the alternative way of encouraging companies to invest, even if local government finances suffer. 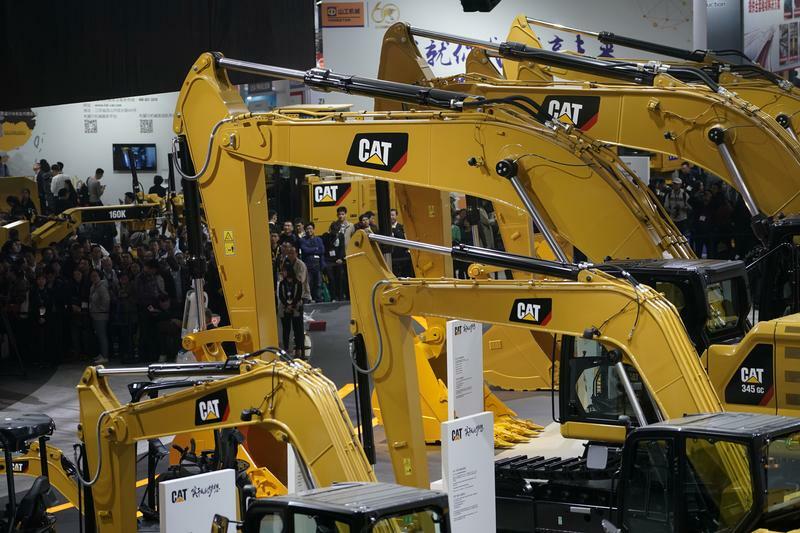 People visit heavy machinery of Caterpillar at Bauma China, the International Trade Fair for Construction Machinery in Shanghai, China November 27, 2018. Picture taken November 27, 2018. Shares in Caterpillar and Nvidia dropped sharply after the construction equipment manufacturer and the technology firm on Jan. 28 warned of slowing sales growth in China. They join a list of other companies, including Apple, that have blamed the People’s Republic for disappointing performance. China's economy cooled in the fourth quarter, dragging 2018 growth to the lowest level in nearly three decades. The central bank has repeatedly adjusted policy to provide more liquidity to banks, encouraging them to loan more to small businesses as investment slows. As part of those efforts, Bank of China sold 40 billion yuan ($5.9 billion) of perpetual bonds on Jan. 25. U.S. President Donald Trump will meet Chinese Vice Premier Liu He on Jan. 31 during his visit to Washington for trade talks, the White House said.